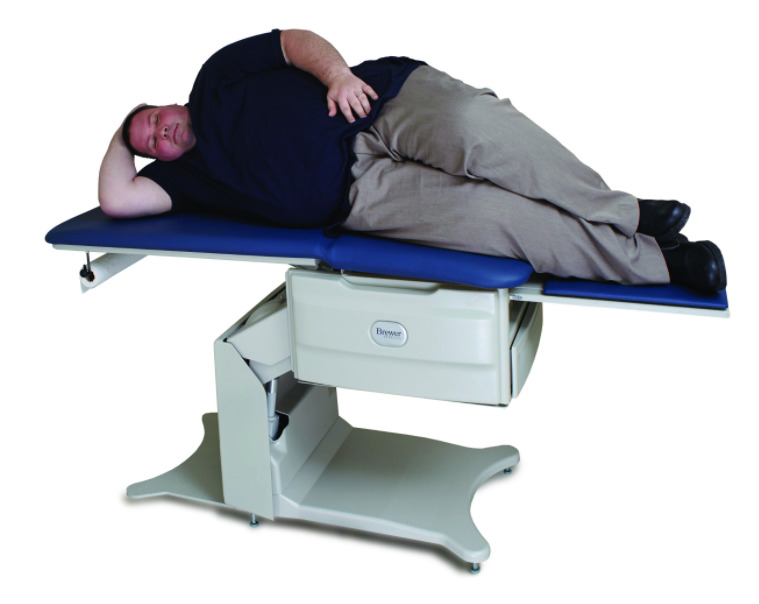 Brewer FLEX Access Pneumatic Back Exam Table, Pelvic Tilt, Warmer, & Outlet -. Buy Discounted Patient Care Products and Supplies at Vitality Medical. Fast Shipping and Low Prices. 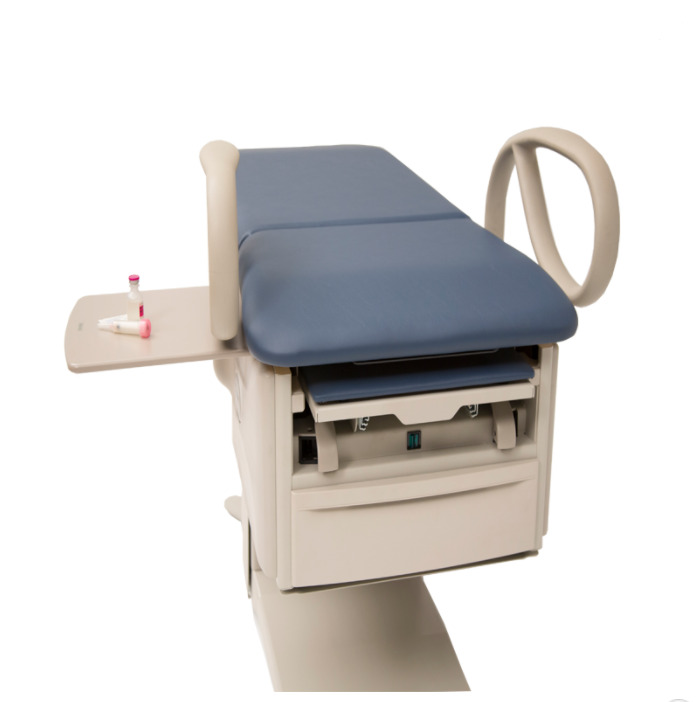 Brewer FLEX 5701 Access Pneumatic Back Exam Table, Pelvic Tilt, Warmer, & Outlet is a simple and ideal table and is perfect for any medical facility. It has a low 18-inch height, which makes it ideal for transferring patients. 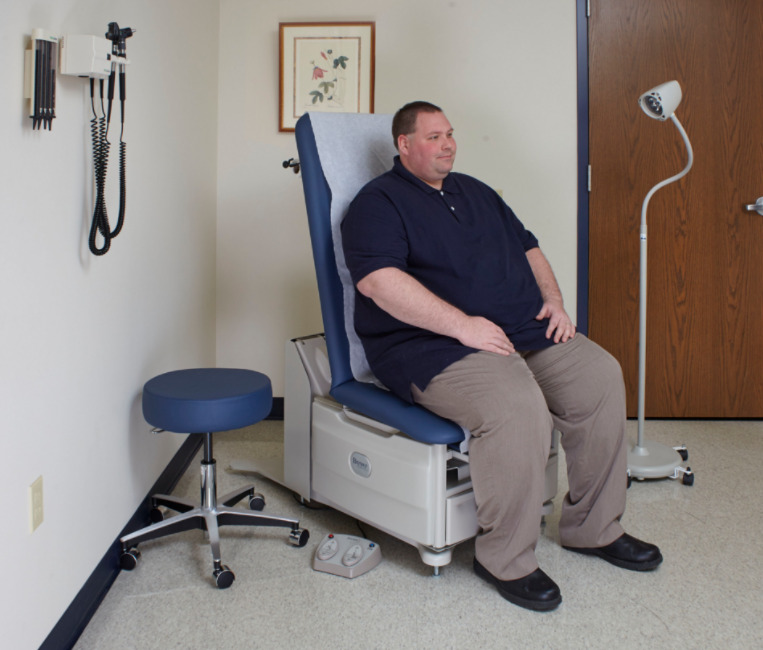 It has a powered lift so you can adjust the exam table from 18-37 inches and can accommodate patients up to 700lbs. 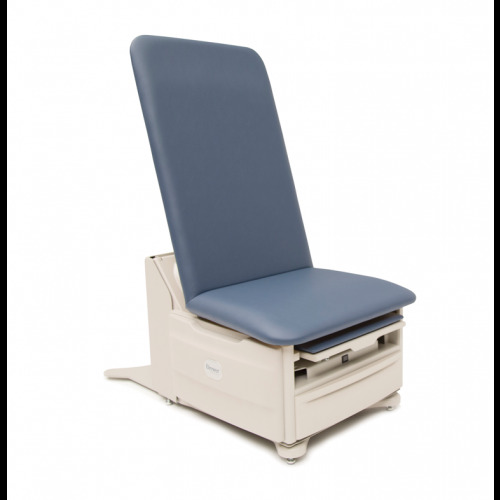 The FLEX table comes with a compact base, which allows medical professionals to move closer to their patients than with standard tables. It has convenient foot controls that activate the lift mechanism and a manually-adjusted pneumatic back, so it is easily converted from chair to table position. 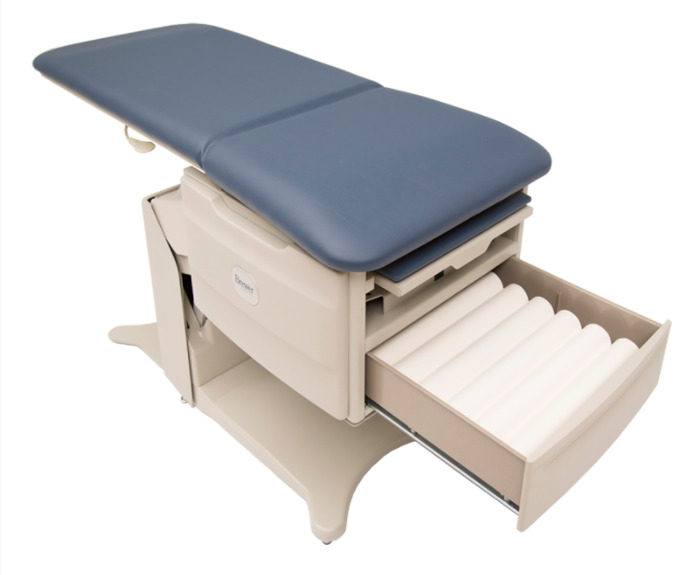 The pelvic tilt mechanism and seat/storage drawer heater makes this table ideal for OB/GYN, urology and other specialty facilities for optimal patient comfort. Within the side of the table is a built in 115 VAC hospital grade outlet for convenience for using other medical devices and equipment. Proper hygiene requires each exam room to have a paper dispenser. The FLEX 5701 comes equipped with a paper dispenser on the back and a storage drawer in the on the front that holds up to 6 extra rolls. The upholstery is stain-resistant, comfortable, seamless, available in a variety of colors and multi-density support for your patients. CAL-133 fire-resistant upholstery is available for an additional charge. 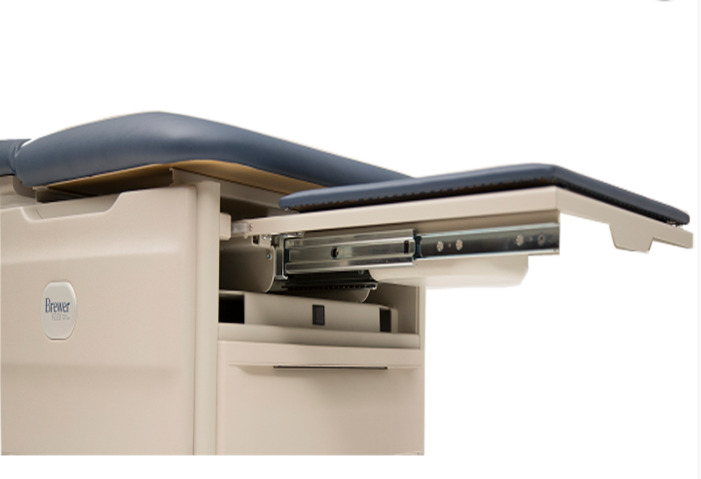 The adjustable table comes with sensors to prevent patient injury during operation, which makes it safe and free from worry. It comes with an anti-tamper switch, which is ideal to power the table off once in the preferred position, eliminating the risk of potential-accidental movement. It comes with a low-voltage power cord that is easily detached for quick connect and disconnect. The Brewer Company offers a 3-year warranty on the FLEX 5701 Table. The warranty supports the guarantee that all parts and mechanisms will function properly under normal use. They also offer a 5-year warranty (from ship date) on supporting products. Contact a Vitality Medical associate for questions regarding returns or possible restocking fees. 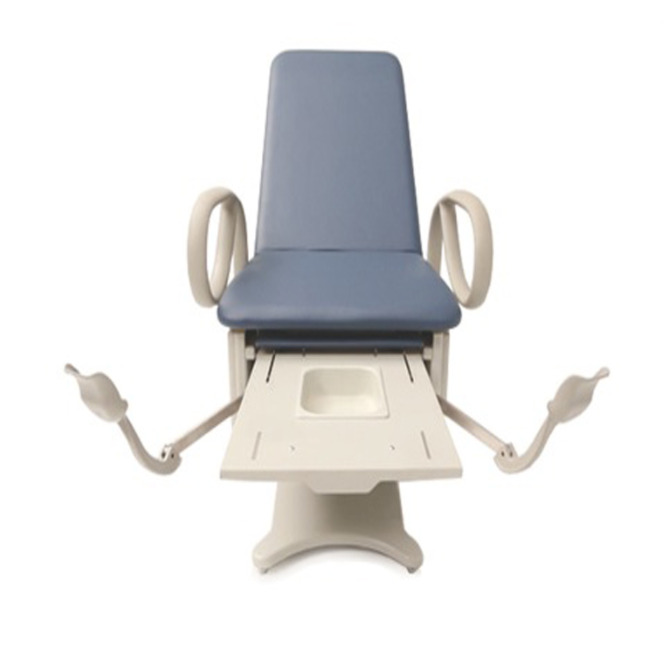 Product Brochure offers highlights of this exam table.